Welcome to San Diego Beach Cats! 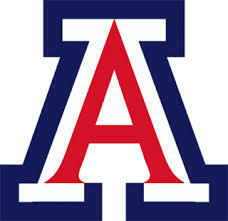 BeachCats is the San Diego Chapter of University of Arizona Alumni Association, a close network of alumni, friends and family, present students and future students. All former UA students who have received a degree or completed at least 30 units can join the BeachCats. Spouses, partners, parents and others may become Associate BeachCats by showing interest and participating in activities on behalf of the chapter or University. Click here for to pay now! Promoting the ideals of the University of Arizona and the Alumni Association, the BeachCats are a dedicated group of volunteers fostering progress and well-being to Wildcats in the greater San Diego area. Whether it’s a football or basketball game- watching party that brings family and friends together, or a summer send-off or scholarship awards that help make new Wildcats, the BeachCats are there to provide support and to have a good time. If you’re a dedicated Wildcat who knows how to have fun and support the community, then we have a place for you.